I miss having time to read. Actually, that’s a bit misleading, I suppose what I should be saying is: I regret not using the free time I do have for reading. One major downside of graduate studies or work that involves copious amounts of non-leisure reading is that it can leave you sapped of any energy to read the books you actually want to read. Don’t get me wrong, I love reading (most) scholarly work in anthropology. One of biggest reasons why I love anthropology is that research often takes the form of ethnographies which tend to be uniquely engaging reads in the world of academic scholarship. All the same, nowadays I often find myself staring longingly at the books I had purchased with so much enthusiasm. They sit, unread, collecting dust; the spines begging to be broken. Recently, I have taken to spending my time reading long-form articles and prose online in lieu of books, but it’s not the same. There is nothing quite like getting lost in the pages of a book. I miss that feeling. As I was compiling my list of books-to-read, I began thinking about the books that have changed my life and immediately came up with the following five. There are more, of course, but these 5 books have had a greater influence on my way of thinking and my perception of life than any others. Note: These aren’t my favorite books of all time necessarily, but those that affected me, moved me, changed me and had a lasting impact on me. This award-winning and much loved book is about Renee, an unattractive, grumpy, soap-addicted working class concierge at a posh Parisian residence who is, in reality, incredibly intelligent and cultured but hides behind the mask society befits her. It is also about Paloma, a genius 12-year old who lives in the building with her wealthy family and also hides her talents behind a mask of mediocrity. The world around her is vacuous and superficial, her family are equally clueless, and life is futile, so she plans to kill herself on her 13th birthday. However, Renee and Paloma’s paths finally cross when a new tenant arrives and everything changes.Frankly, I hated this book in parts. Far too many pages of this book talk about Kant, Marx, Foucault and the like, which is great…for an Intro to Philosophy class! However, I expect more from a fictional work about the lives of two unique characters. Perhaps I am biased because when I read this book I was definitely not a fan of reading philosophy, let alone reading a character’s (the author’s) interpretation of various philosophers. But, eventually, when the characters do develop, it’s hard not to forge a connection with them. When I finished the book, I was in tears. I saw myself in both characters, so the ending deeply moved me. 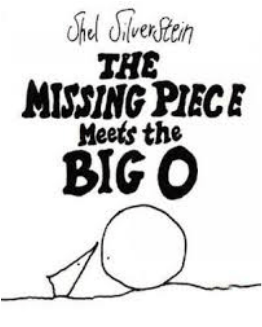 Rather than the author’s high-minded musings, I found that the characters’ hopes and dreams and what they learn about life by the end was far more profound. Barbery infuses cultural references throughout the book and listening to Erik Satie has never been the same for me after reading this book. Despite the fact that I found the prose about philosophy to be pretentious, Barbery can write beautifully; this book remained on my mind for days after I was finished. A “Jewish-American princess” by her own admission, Dahlia Finger is a 29-year old sarcastic, depressed, smart, angry pothead who spends each day in front of the TV watching the same things again and again in a house bought for her by her father. She is, by all measures, not the most sympathetic character, and is easy to dislike. What sets her story apart is the terminal brain tumour she is diagnosed with and the resulting emotional reconciliation she must have with herself. 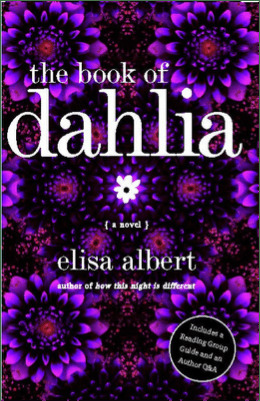 Essentially, Dahlia, and we as readers, must consider the value of a wasted life. Is a life ever truly wasted? Even one like Dahlia’s? The book flashes between her past and present as she navigates cancer, treatment and a deeply dysfunctional family with her biting honesty and wit (and more than a little medical marijuana). If I cried after reading The Elegance of the Hedgehog, I was basically in a pool of tears after this one. I also read this at one of the lowest points in my own life. I was working at Indigo Books and I was mesmerized by the vivid cover. I debated buying a book that was sure to be sad but something about it kept calling me back to it. I eventually bought it and Dahlia’s story left me both sad and optimistic. It is unlike anything I’ve ever read. If I recall correctly, this book was an Oprah’s Book Club Pick so it is very popular and widely read. And, the comparisons to Dickens aren’t unfounded. This book by Indian-born Canadian Rohinton Mistry also won the prestigious Scotiabank Giller Prize in 1995. This was one of the first books I read about life in India. It is a glimpse at the lives of four individuals: a student and two tailors, and their landlady, Dina, and the strange, unjust and tragic consequences that result from the actions of a corrupt government and an ailing, chaotic society. It is a long, absorbing read and disturbingly realistic because it is based on historic events (The Emergency enforced by then Prime Minister Indira Gandhi) that resulted in oppressive laws, the unconstitutional arrests of 140,000 people, and forced sterilization of thousands of people. These events touch the lives of the characters in this book. But, there is also much humour and heart in its pages. It had an emotional impact on me particularly because it was set in India. I was born in India and recognized the characters in the faces of the seemingly nondescript people on the train, the infinite beggars on the street, the women who shuffle about in the markets. When I went to India most recently, I kept thinking about the characters in this book, and those in the numerous other Indian fiction novels I’ve read since. 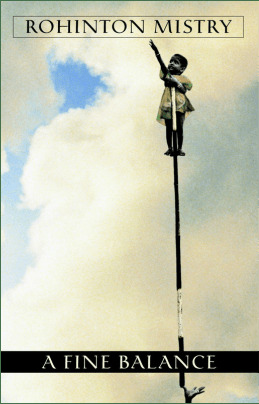 A Fine Balance set me on a path to reading and loving fiction by Indian authors writing about the lives of the deceptively ordinary. 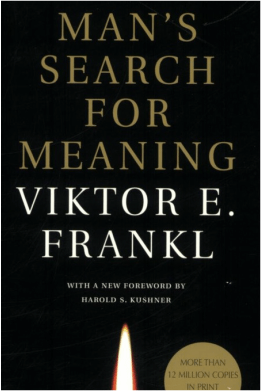 Of all the books I read when going through some tough times, none impacted me more than Viktor Frankl’s Man’s Search for Meaning. I had come to a point where I really was just looking for answers anywhere, especially when words like “purpose” were quickly becoming meaningless. The title was a little too “on the money” (and gendered) and I was skeptical but I decided to give it a shot. I was also completing my degree in psychology, so reading a book by a preeminent psychotherapist was also comforting. Man’s Search for Meaning is the author’s account of his time in a concentration camp during WWII and the resulting creation of the school of Logotherapy, a psychotherapeutic tradition that emphasizes finding meaning in one’s life to survive and thrive. Indeed, it is this outlook that helps Frankl carry on day after day during the Holocaust and his time at the camp. So, as with all the other books, yes, I cried while reading this one, too. However, this book also gave me so much optimism and hope at a time when I needed it most. Themes of suffering, death, life, purpose, individual choice, perseverance and hope in the face of insurmountable odds, all speak to the existential angst that is felt by many during depression. This book is filled with life-changing stories and lessons. It challenged me to seek purpose in my life, made me grateful for the life I had, and hopeful for the future. I highly recommend it; it changed my life, maybe it could change yours, too. Favourite Quote: Frankl quoting Nietzsche – “He who has a why to live for can bear with almost any how.” There are actually so many amazing quotes in this book that it’s hard to pick just one. I recommend this article from XOJane on the 20 Life-Altering Quotes from the book. So, there you have it! These are the five books that changed my life, and I hope there will be more in the future. I also want to give an honorary mention to the Harry Potter series, which are probably the most influential to me but in a very different way; I could fill a book just about my love of the series! Compiling this list has definitely made me nostalgic to re-read a couple of these books again; I’ll be sure to keep the kleenex close by!